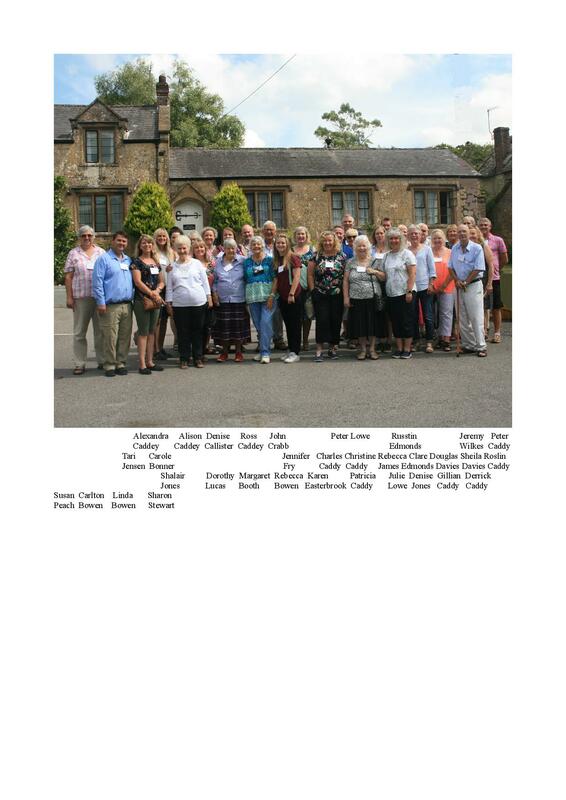 Thirty-four descendants (including husbands and wives) of John and Elizabeth Caddy, who lived in Burstock during the first part of the eighteenth century, assembled at the Comrades Hall last month. Fifteen of the contingent came from Glamorgan, six from Utah and five from Australia. There were even two from Dorset!